MTK Global is delighted to confirm the signing of youth Olympian and African champion Marwan Madboly from Egypt. The Cairo-born 19-year-old also boasts a bronze medal at the 2018 World Youth Championships and turns over determined to emulate his impressive amateur achievements in the professional ranks. Madboly said: “Since day one, I started boxing to get to the top. I became national champion, then Arab champion, then African champion and I will continue to meet all challenges. “MTK Global has a lot of champions and a lot of great boxers and I want to start my professional career in the top team. South African featherweight Lerato Dlamini has signed with MTK Global as he looks to convert his world ranking into a world title shot. ‘Lights Out’ (12-1-KO6) has not been beaten since his professional debut and with the IBF Continental Africa featherweight title and a WBC world ranking title already to his name, is looking to press on to the top of the sport. Dlamini said: “I’m so happy. I know MTK Global will help me get closer and closer to my dream of becoming a world champion. “As well as getting me the world title shot, I believe this move also puts me in line for gaining exposure internationally. “I fought for 11 years as an amateur and won South African national medals in 2010, 2011 and 2012; ending my amateur career with a record of 150 fights, 140 wins and only 10 defeats. Dotel for the WBO European super-lightweight title on February 23. 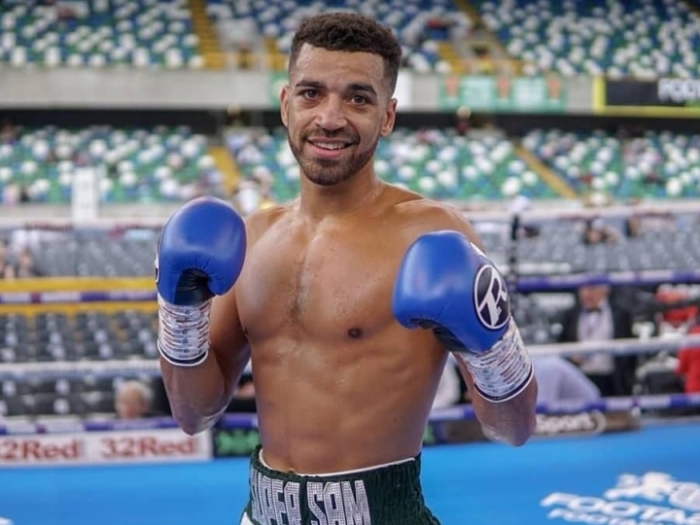 Liverpool’s Sam Maxwell (10-0-KO8) gets his big chance against the Spaniard in Leicester – live on BT Sport – and is poised to show the arena and a televised audience just what a threat he poses to the big names at 140lbs.